What is a professional interior designer? 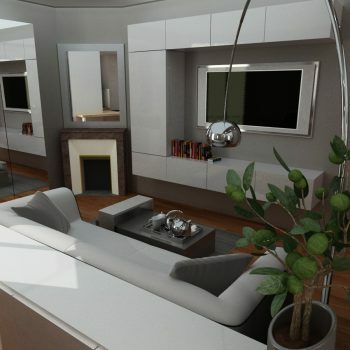 An interior designer is the link between the individual and their environment. Their work complements the work of the general architects for whom interior design is not their primary mission. Interior designers work in both residential and commercial settings, drawing upon their knowledge of aesthetics, function and safety to enhance the look of a space whilst making sure the whole project is consistent. They have to remain at the forefront of technology and be able to respect a budget. This role is often demanding, and calls for psychological insight and even a certain measure of intuition. To this end, designers will have completed five years of full-time design study at university and must above all be driven by passion and enthusiasm… Designers can make any changes they wish but not alter the structure of a building. Indeed, in such a context, designers will call on qualified architects and / or design offices. 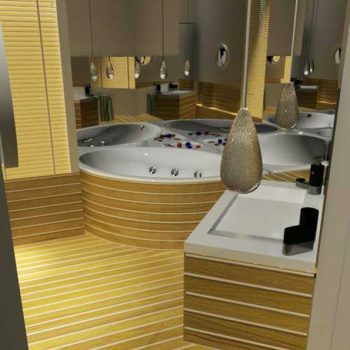 Interior designers are at the convergence of the different participants to the project. They interpret and fulfil customers’ needs and wants as accurately as possible, and take into account the practical and budget constraints imposed. Designers provide contractors with plans, elevations and visuals required for the proper execution of works. They ensure coordinated follow-up of the works and they actively participate in the selection of materials and fabrics, are involved in the choice of furniture, and sometimes even design it. Their role can go as far as staging the space in the smallest details. To sum up, masters of all trades with flawless work ethics, designers assist their customer from project conception to the final touch. There are many possible billing methods: payment by the hour, percentage of the amount of work done… These methods can sometimes prove unclear to the client as regards the final cost of the service. To overcome this drawback, I will provide very detailed estimates so that, clients can select only the services they want to see executed and have total control right from start.